If you are well traveled and hear the word “clogs”, you may envision those wooden shoes worn by Dutch farmers that are sold in every tourist shop in Amsterdam. But ask someone who has suffered from black water overflowing into their bathroom, and you will see terror in their eyes. Sewage spills are the furthest thing away from Hans Brinker skipping merrily through a tulip field on the outskirts of Den Helder. 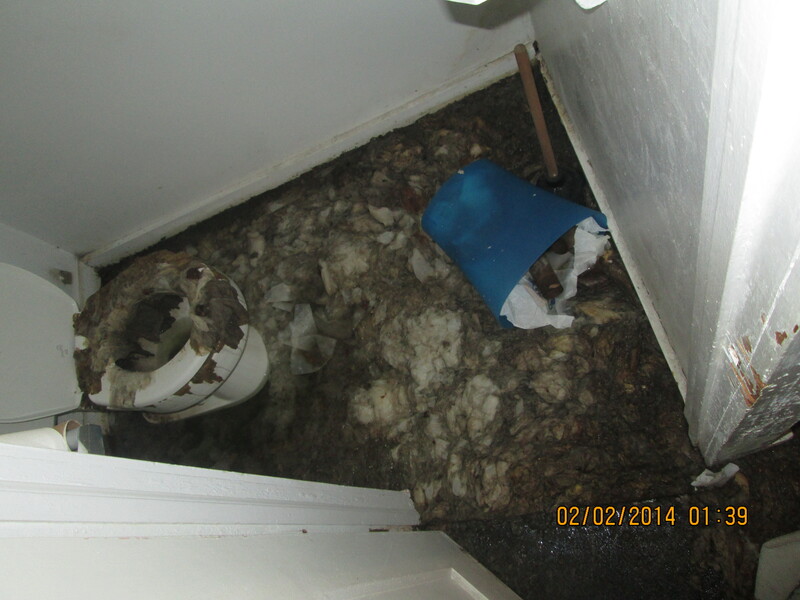 Sewage backup can cause damage to the floor, breed mold, spread disease, and leave horrid smells that are “no bed of flowers”. By calling a sewage backup company, you can help safeguard your home and family from an inevitable foulness. And by understanding how sewage backups occur and what risks they pose, you can help prevent black water spills from dampening your spirit. What Causes a Toilet to Clog? Most plumbers report that clogged toilets result from a lack of understanding what can get safely flushed down a toilet. Toilet paper exists because it is graded to navigate plumbing without causing a buildup which can eventually lead to a pipe burst due to pressure buildup. This in turn can cause black water to spill out into the ground, or come up through the toilet. Toilet clogs occur when diapers, paper towels, sanitary napkins, love letters from unwanted admirers or any other forms of heavy paper are flushed down the toilet. Often, these clogs can be resolved with a plunger. But if flushing such items has become a common practice, you may need to call in the professionals. Other potential reasons for a clogged toilet can be far more serious, such as tree roots growing into pipes or major issues with a septic tank system. Mats of hair, soap scum, rust and mineral deposits can also cause blockage that can lead to black water damage. What are the Dangers of Black Water? Sewage backup is nothing to take lightly. When a sewage spill disaster struck the cafeteria at Washington Elementary in the Penn Hills School District, all food and children were immediately moved far away until sewage cleanup pros could come in and restore the school to its original state. Exposure to sewage won’t just destroy the quality of your eggplant parmesan; it can also cause severe illness in people. The majority of illnesses resulting from exposure to sewage are caused by pathogens—biological agents that brew disease in a host. Bacteria, viruses and parasites are the most common pathogens and cause a plethora of illnesses that include infections and diarrhea. But in some cases long-term illnesses and even death can be linked to black water exposure. Certain groups like the elderly, children and people with weakened immune systems are particularly vulnerable to the wrath of more severe sewage havoc. By calling a certified sewage cleanup company upon first discovering a black water problem, you can protect your home, and you can help keep all your loved ones healthy. Why Can’t I Clean Black Water Myself? Black water spills are highly toxic and require professionals with HAZMAT suits and industrial strength equipment and cleaning products to remove the sewage safely, leaving your home or ground clean and dry. You may attempt to clean up the black mess on your own, but almost every time an untrained person sets out to do this they leave moisture behind that spreads disease and mold growth. When your home and family are at stake, let the professionals deal with this emergency. Playing the role of the “daring sewage speculator” simply isn’t worth the glory or bragging rights.